In this corner of southern Sudan, farmers, merchants, rebel soldiers, and priests all expressed condolences for the World Trade Center attacks—even though few had ever seen a building over one story, and none owned a television. Most people listened to the radio reports with disbelief. Not disbelief that the attacks had taken place—after 18 years of nearly constant war the people of the South consider such things a fact of life—but rather disbelief that the U.S. government would seek to bring the Sudanese government into its coalition against terror. The United States has listed Sudan as a sponsor of terrorism since August 1993. At various times the country has been a safe haven and training center for the Abu Nidal organization, Lebanese Hezbollah, Palestine Islamic Jihad, Hamas, and Algeria’s Islamic Salvation Front. It sheltered the assailants who tried to kill Egyptian President Hosni Mubarak in 1995. In April 1996 the State Department expelled a diplomat from Sudan’s UN Mission who had links to conspirators planning to blow up the United Nations and the tunnels under the New York harbor. Osama bin Laden called Sudan home between 1991 and 1996; many of his followers still do. In response to all this the United Nations, in three different 1996 resolutions, slapped sanctions on Khartoum. And in a 1997 Executive Order, President Bill Clinton imposed even tougher commercial and financial penalties. 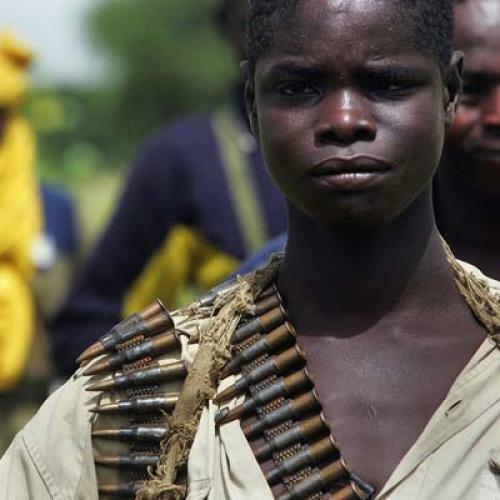 The United States has also blasted Omar el-Bashir’s government for its violent repression and enslavement of Christians and animists at home. In June, after sustained lobbying by Christian and human rights groups, the House of Representatives passed, by a vote of 422 to 2, the Sudan Peace Act. The legislation censured Khartoum for prolonging the civil war—which has cost two million lives and displaced twice that number—and for actively supporting the slave trade, which is conducted largely by militias under the government’s command. Under the terms of the act, companies (like Canada’s Talisman) that invested in Sudan’s oil industry would be banned from U.S. capital markets. Then came the World Trade Center attacks. And in the diplomatic reshuffling that followed September 11, the Sudanese government has played its cards exceptionally well. Khartoum wasted no time condemning the attacks, issuing a statement reaffirming its “rejection of all kinds of violence.” In return Secretary of State Colin Powell said the United States would enlist Sudan in the fight against “all forms of international terrorism.” On September 19 the Bush administration quietly killed the Sudan Peace Act. And on September 28 Elfatih Mohammed Erwa, Sudan’s ambassador to the United Nations, offered “genuine cooperation in combating terrorism.” The same day, the United States abstained as the UN Security Council voted to lift sanctions on Sudan, effectively giving the diplomatic green light to the country’s international rehabilitation. Many ordinary Sudanese laugh at their government’s insistence that it harbors no terrorists. Nur, a well-connected Arab merchant recently returned from the capital, described to me in detail a training camp five kilometers from the bus station in Khartoum. The camp, operating under the guise of the African Islamic University (previously the African Islamic Center), reportedly hosts Palestinian, Iraqi, and Iranian “students.” Other recent travelers to northern Sudan—many of them Arab businessmen with ties to the Khartoum regime—described Al Qaeda camps in Tokar on the Red Sea and Renk, a large town on the Nile. Several Sudanese also reported the relocation of operatives from larger camps in the North to out-of-the-way towns further south, far from foreign journalists. And terrorist cells may not be the only things moving south. “If you want to find chemical weapons,” one former member of the Sudanese army told me, “just go to the Juba airport.” It’s a frightening thought. And a plausible one, given that, according to numerous press reports, congressional testimony, and accounts from the field, the Sudanese military has employed chemical weapons against non-Muslims in the Nuba Mountains. But don’t expect the Bush administration to say much about these, or any other allegations of Sudanese misbehavior, any time soon. The administration’s anti-terrorism coalition may help in the struggle against bin Laden, but if the Bushies are serious when they vow that the war will not end with Afghanistan, they may eventually find their current efforts more than a little self-defeating. For by allowing terrorism sponsors like Sudan to benefit from the September 11 attacks, the United States signals that sheltering terrorists does indeed pay. This may not be the message Foggy Bottom intends to send—but it appears to be the one that’s being received in Khartoum.